VietNamNet Bridge – The ASEAN Community (AC), expected to be formed on December 31 this year, will create a single market with freely moving capital, goods, services, investment and skilled labour, bringing about both major opportunities and challenges for Vietnamese workers. The AC will have a combined gross domestic product (GDP) of 2.2 trillion USD once it takes shape, according to the report “ASEAN Community 2015: Managing integration for better jobs and shared prosperity” compiled by the International Labour Organisation and the Asian Development Bank. The community will have an average per capita income of 3,100 USD a year, but the figure will vary considerably from 1,000 USD in Cambodia and Myanmar to 50,000 USD in Singapore. The substantial income gap could trigger labour migration within ASEAN, opening up new opportunities for skilled workers yet posing challenges to the unskilled. Through mutual recognition arrangements, the 10 ASEAN countries have allowed labourers in eight professions (doctors, dentists, nurses, accountants, surveyors, architects, engineers and tourism professionals) to seek employment freely within the bloc shortly after the AC is formed. The Vietnamese Ministry of Labour, Invalids and Social Affairs (MoLISA) said the country will be one of the biggest beneficiaries from the AC’s formation, adding that about 6 million jobs will be provided by 2025, accounting for 9.5 percent of the total new employment options in ASEAN. Vietnam has an abundant workforce which numbered 53.64 million people by the first quarter of 2015. Nearly 52.43 million were employed and 20.8 percent had received training certificates. The ministry believed the quality of Vietnamese workers has been improved, meeting certain requirements of the regional labour market. The country has sent large numbers of guest workers to other ASEAN nations, especially Malaysia, with thousands of people going abroad each year to work in various professions. The country has also established itself as a leading competitor at the ASEAN Skills Competitions, ranking first on three separate occasions at the 10 organised events and having continually been among the top three countries, illustrating locals’ readiness to join the AC, the MoLISA said. However, an array of challenges are also facing Vietnam, including the mere 30 percent of the workforce taking part in the official labour market, since agriculture constitutes the majority of Vietnam’s economy. Additionally, almost all the labourers in agriculture are untrained. The World Bank said Vietnam is experiencing a serious shortage of skilled and technical workers and is lagging behind developed countries in the region in terms of manpower quality. Local labourers’ knowledge, skills and readiness for working in other ASEAN countries have been deemed inadequate. The bank cited foreign language skills as an example; few Vietnamese workers, even in big cities, have learned the languages of other ASEAN countries such as Thailand, Laos and Cambodia, which will make it more difficult for them to adapt to new workplaces. Vietnamese labourers are likely to lose out to their peers from other ASEAN nations if they do not focus on foreign language and soft skills. Deputy Director of MoLISA’s Research Institute for Vocational Training Science Nguyen Quang Viet said 47 percent of Vietnam’s workforce is currently working in agriculture with low productivity and income compared to other regional economies like Malaysia, Singapore and Thailand. He attributed that fact partly to trainings which have not been in accordance with the real demand, flaws in the labour market’s information system, and a lack of trustworthy labour market forecasts. Tao Bang Huy, Deputy Director General of the MoLISA’s Department of Employment, urged close coordination among ministries, sectors and all-level authorities to foster socio-economic development in tandem with job creation. 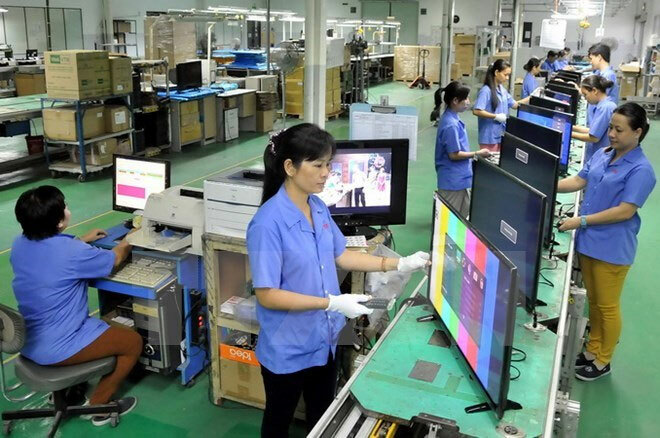 Vietnam needs to continue overhauling legal regulations regarding labour, employment and vocational training, make short- and long-term forecasts, connect the domestic labour market with ASEAN counterparts and seek suitable overseas markets for its workers. He added that labourers themselves must promote their professional skills to satisfy ASEAN demands.